How to Score Goals in FIFA 19 - What is the Best Attacking Formation ? You can have the best FIFA 19 team in the world, but you still won't win matches unless you, the player, can score goals. There are a swath of new shooting mechanics in FIFA 19, though in our opinion, it's easier than ever to plant the ball squarely in the back of the net. To make sure you're beating the keeper everytime, we've put together this FIFA 19 Shooting Guide. We'll take a look at the shooting controls, the best attacking formation, and give you some essential tips for scoring goals in FIFA 19. For more on FIFA 19, be sure to head over to our FIFA 19 Guides Hub. It’s filled with useful info on FIFA 19, from essential tips and tricks, a look at the best ways to defend, and more. A lot of FIFA 19 players get comfortable with using the same type of shot over and over again, which means they could be missing out on a ton of goals. Having an understanding of multiple shot types is key to hitting the back of the net every time, so it definitely pays to know your Low shot from your Timed Finishes. We've listed plenty of info on FIFA 19 shooting below, so that you can start to expand your attacking tactics and play style. FIFA 19's version of the Driven Shot is the new Low Shot. It's been tweaked slightly, but is still one of the best and easiest ways to score goals in the game, it's particularly useful when going one on one with the keeper, as it seems to find the bottom corner of the net nearly every time. To perform the Low Shot in FIFA 19, just hold L1 and R1 and press shoot. You'll want to hold the shoot button a bit to charge your shot up, though a first touch Low Shot using a tap of the shoot button is also effective. Make sure you slow down before taking it, and draw the keeper out of their goal. You'll have space to slot it past them, and should score almost every time. 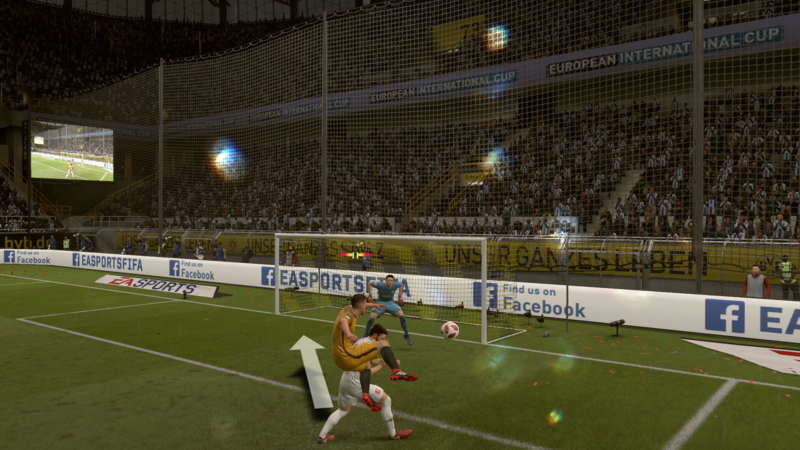 Most FIFA players adopt strategies that favor strikers and attackers. As a result, your team’s default formation might not be the best for scoring goals. 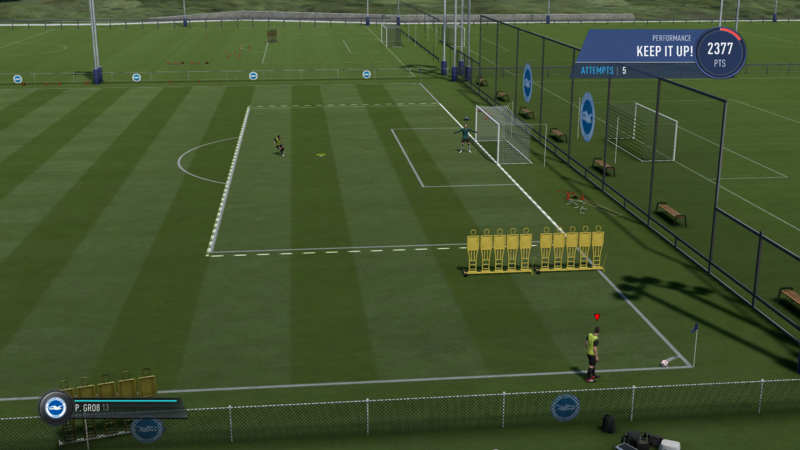 We’ve provided some tips on setting up an attacking formation below, so you can build the best FIFA 19 Formation for scoring goals. In FIFA 19, you have a ton of control over the individual tactics at your disposal. You can switch up Formation on the fly, setting custom formations to each of your Game Plans. As such, there’s no longer need to lock yourself into one rigid formation. For your Attacking Game Plan we recommend going with a 4-2-3-1 formation. Ensuring good width, you’ll be able to feed the ball in from the wing, moving that line of four attackers in for a goal. When going with Ultra Attacking Play, go for a 4-2-4. This will ensure there are a high density of attacking players in the box to connect with any crosses you send their way. When customizing your attacking plays, it’s a good idea to assign Fast Build Up. This gradually speeds up play as you get closer to the goal, making your offensive moves extremely dynamic. You can assign Instructions to any player in your squad. This determines how they will react depending on the Game Plan you choose to go with. We recommend using the “Get in Behind” Instruction for strikers, as this will allow you to feed through balls to your top strikers. Always pass to a second player. You can call one forward while taking the corner, and can then pass off to one. Passing the ball off in this way opens up more opportunities to score in FIFA 19 corners, especially if you practice the technique below. When you pass the pall to your second corner player, hit R1/RB. You’ll dummy the ball, which seems to fool the game into moving defensive lines forward. You can take this extra second of space to shoot, or cross in a curled cross. Curl your corners with the right stick while holding the shoot button, this is a surefire way to add power to any chances that come out of the cross. Head into your tactics menu and tweak the Corners bar in the defense section. This will allow you to change the number of players you want in the box during a corner, and can be a real help when trying to score goals. Knowing exactly which shot to use in any given situation is a great way to maximize your goal-scoring potential, but it won't mean a thing if you don't know the shot controls. That's why we've listed the FIFA 19 attacking controls below, be sure to give them a quick look before jumping into a match.